What can you say about a movie that stars Kiefer Sutherland as a cruel Roman Senator? Some viewers (including me) may have silliness on their minds and I don’t blame them. I even felt a certain amount of wrath over the cheesy 3D effects, but the film itself isn’t as bad as I thought it would be. Silly for sure, but watchable. The story is set in 79 A.D, where a slave (Kit Harington) falls in love with the daughter of a rich merchant and tries to save her from a corrupt Roman Senator, who also murdered his entire family years ago. On the face of it the story has possibilities, but in Janet Scott Batchler and Lee Batcher’s screenplay it’s handled in clumsy fashion. If you like cheesy love stories, with man to man combat you may like this more than I did. I guess the problem with a film that uses CGI as a substitute for good writing is that the end product is quickly forgotten. Director Paul W.S Anderson can only do so much with the script he was given, and the same is true of the actors. 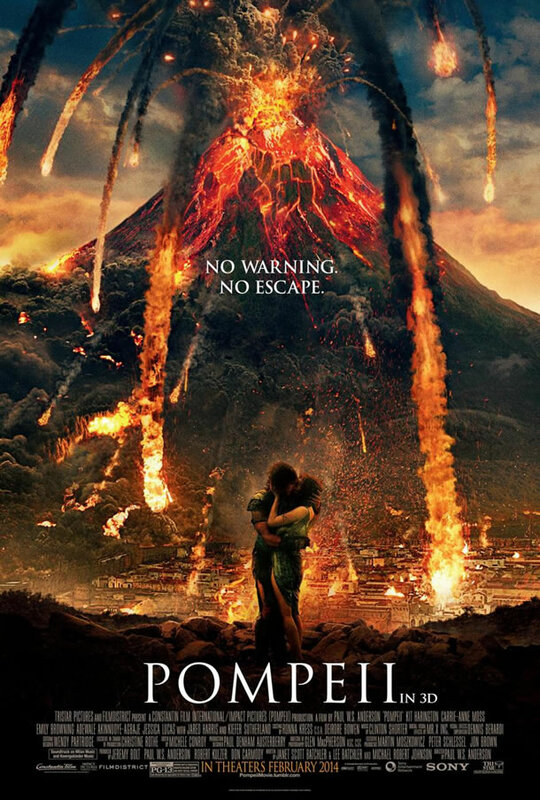 Without full-blooded characters to drive the story, “Pompeii” is just a lot of sound and fury, signifying nothing.